The Zine Squad has struck again. Our latest victim is Misty! 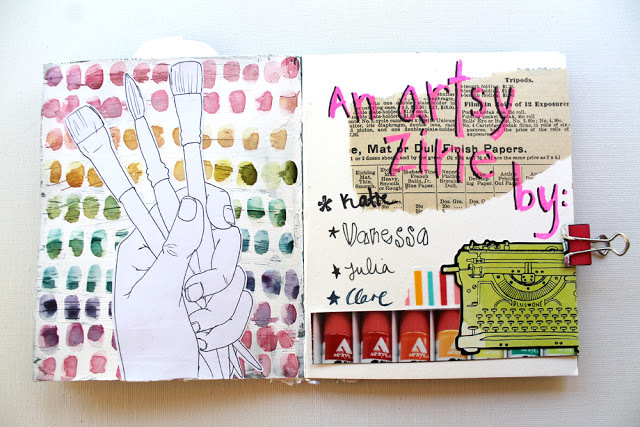 We decided the theme would be ‘Artist’ and we enlisted the lovely Clare as our contributor. Here is a look at my pages. For this first double spread, I tried to keep the right page loose and abstract, in opposition to the right one. 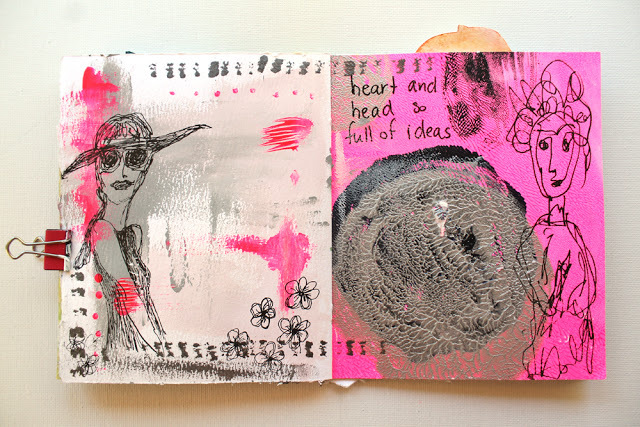 This is a collaborative spread. My page is on the right. I listed some of my favourite supplies. On the left is Julia’s page – I think! I was the one to make the base for the zine, so I used some gelli printed pages that I had on hand. 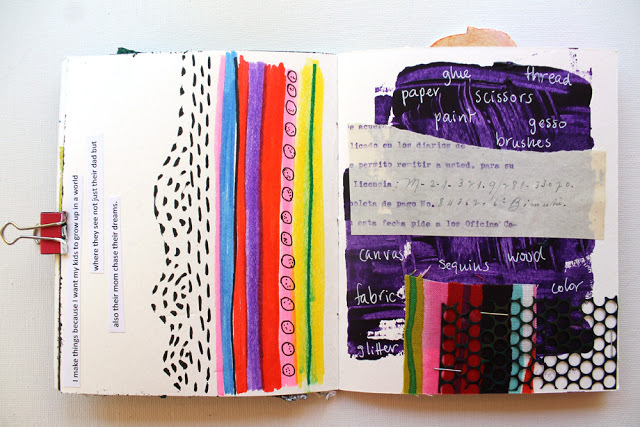 This adds an extra kick as there is already some texture and colour on the page. My page is on the right and Clare made the one on the left. 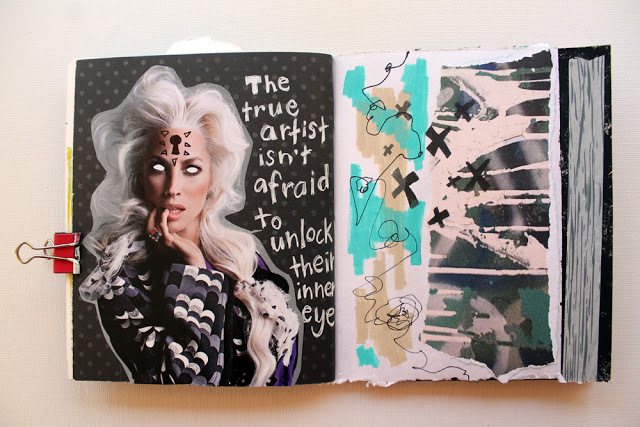 This time, I made the page on the left and just put the colourful strip on the right page. I love leaving pages unfinished for the other squad members to fill up! Another really cool collaboration. Love that last page by Katie! Please take a look at Julia’s, Katie’s, and Clare’s work. And check out Misty’s blog as well! 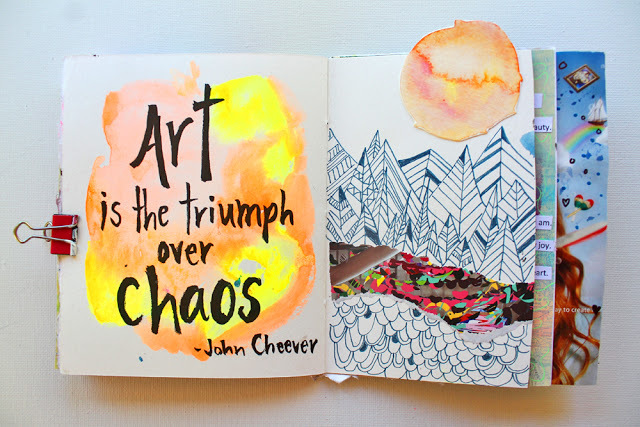 I just love your hand writing style on the "art chaos" page! I loved working on the zine! My very first, thanks for asking me!